The success of your business is important, and one of the biggest issues that you will face in your quest for success is costs. If you are able to cut costs for your company, you can have a much better chance of succeeding. By having lower costs, less profit is required in order for your company to thrive. Lower costs allow you to operate on a lower level of income. Being able to operate a lower level of income protects your company during leaner times, which is something your competitors may not have adequately prepared for. A big area where you may be able to save money is through cutting packaging costs for your business’ products. Here are some cost-saving packaging practices you may not have thought of. Your business can save on shipping space and shipping costs, along with material costs, when you choose flexible packaging options. Since research has shown that 79% of companies are concerned about their packaging and shipping costs, it is time that you found a solution that will work for your needs and reduce your costs while raising customer satisfaction. Besides being extremely environmentally friendly, flexible packaging solutions such as fitment pouches can reduce transportation costs by 85%. They also save 20% more shipping space than traditional packaging options and can reduce overall packaging costs by as much as 40%. These cheaper options for packaging can handle many or most of the same uses as traditional bottles or tubes in a wide range of industries including health & beauty, automotive, household & commercial, and industrial. Find out more about flexible packaging here. Not every packaging company is the same, and you need to find the one that is going to work for you. When you choose a packaging company, you want to make sure that company offers what you need and expect. Find a packaging company that can provide all the services you need in a single source and has the capabilities to fulfill any job you need done. By being able to find custom formulation, contract filling & packaging, and labeling design at the same company, you can save time and money that would have been spent on searching for other companies to provide these services separately. By contracting your filling solutions to a large company, you can get lower prices on your packaging due to economies of scale. These large companies can get bulk discounts on the containers they fill that you would not be able to get on your own. A packaging company with efficient, state-of-the-art machinery yields very little waste, which also allows them to provide you with competitive pricing. A trusted, high-quality contact filler also produces overall better results, which saves you money in correcting errors or repackaging. You can spend your time and efforts on areas of your business that need more attention since you won’t be worrying and stressing about how your product will come out. You can be confident that the job will be excellent. When you need expert, quality packaging at a fair price, you have to find the right company. 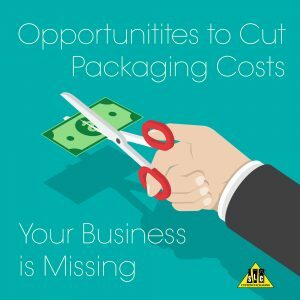 To learn more about how you can cut packaging costs and save money for your business, contact SLC Custom Packaging today. You can get the packaging you want at a price you are happy with, to help make your business more competitive and build your level of success. We can help.